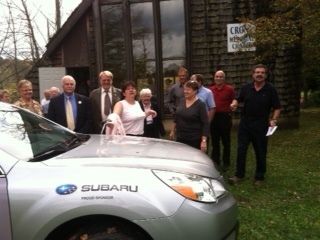 Some of the attendees at the 2013 Region Memorial Service held October 6, 2013. Click on the memorial plaque for patrollers listed from Fall 2006 and further into the past. Recently departed patrollers may be listed above but they will be added to the plaque as the Memorial services are held, usually every two years.